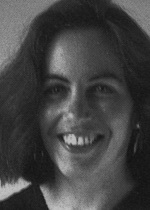 Rita Gabis’ poems and essays have appeared in Poetry, Partisan Review, The Massachusetts Review, Columbia Magazine and elsewhere. Her grants and awards include a writing fellowship from the Fine Arts Work Center in Provincetown, a Connecticut State Arts Grant, and the Curtis Harnack residency at Yaddo. She has been a visiting writer at James Madison University and the University of Connecticut in New Britain.